Medicare offers prescription drug coverage to everyone with Medicare. Even if you don’t take many prescriptions now, it’s very important for you to consider joining a Medicare drug plan. Just like Part B of Medicare, signing up for Part D (prescriptions) is not mandatory. If you decide not to join a Medicare drug plan when you’re first eligible and you don’t have other creditable prescription coverage or don’t get extra help, you will likely pay a late enrollment penalty. To get Medicare prescription drug coverage, you must join a plan run by an insurance company or other private company approved by Medicare. Each plan can vary in cost and specific drugs covered. For example if you purchase a drug plan that costs $30 a month and you did not have drug coverage for the previous 3 years, when you should have, they will add approximately $9-$12 month onto your premium. That penalty will stay with you forever, or as long as you have a prescription drug plan. If you join a $0 premium Medicare Advantage Plan that has prescriptuion drug coverage integrated into the plan (as most do), there will still be a penalty assessed to you. However, If you are a Veteran and receive your drugs through the VA, covered under a Employer Group plan, you have what is known as “credible coverage” are there are NO penalties. Medicare Prescription Drug Plans. These plans (sometimes called PDPs) add drug coverage to Original Medicare, some Medicare Cost Plans, some Medicare Private Fee-for-Service (PFFS) Plans, and Medicare Medical Savings Account (MSA) Plans. Medicare Advantage Plans (like an HMO or PPO) or other Medicare health plans that offer Medicare prescription drug coverage. You get all of your Part A and Part B coverage, and prescription drug coverage (Part D), through these plans. Medicare Advantage Plans with prescription drug coverage are sometimes called MA-PDs. You must have Part A and Part B to join a Medicare Advantage Plan. Depending on where you reside, you may have as many as 25 different options to choose from. 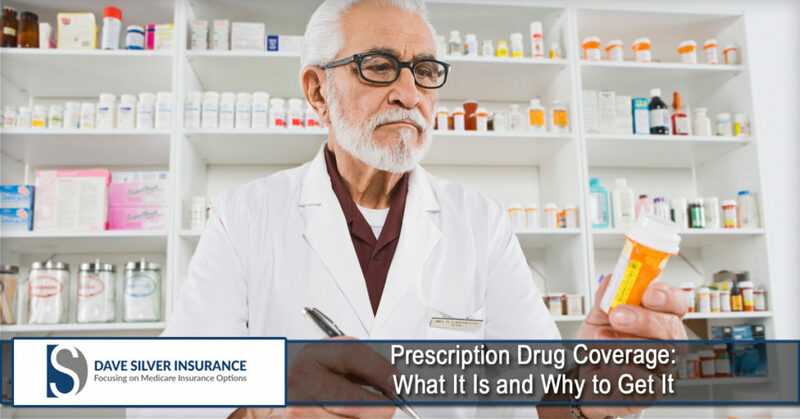 Each plan will have a different premium, co pays for covered medication and different formularies (these are defined as a list of covered prescriptions under each plan). Making an incorrect choice may have dire consequences. It may cost you a lot of extra money each year, unnecessarily. Before I get into the steps and resources you should use to select your best Part D drug plan, let’s go over a few helpful points to consider. Your Part D start date should be the same time that your Part B begins. Do not put this off even if you are not taking any prescriptions currently. If you wait to sign up, you will be penalized for every month you waited. This penalty will stay you with you forever, or as long as you have Part D.
The penalty is 1% of the national average for a Part D Prescription drug plan. The national average for a prescription drug plan is approximately $35 per month. You will be penalized 1% or 35 cents per month for every month you missed. For example, if you put off signing up for a drug plan for 3 years, you will be penalized 36% or an extra $12.60 per month. This will be added on to your prescription drug plan premium, each month. It does not go away. Initial Coverage phase. This phase includes a $360 deductible. After the deductible you will pay 25% of the cost of your prescriptions between $360 and $3310. Your share of expenses might be different, based on the drug plan you select. Some plans do not have the part D deductible, while others do. Some plans will cover your medication in this phase with co pays, as opposed to the flat 25% cost. If your medication is inexpensive, it is unlikely you will ever get out of this phase. That is good news! Donut Hole or Coverage Gap. Once you have reached $3310 you have reached the “donut hole”. Once you are in the hole, you will pay 45% of the cost of your brand name medication and 58% cost of your generic medication. You will stay in the phase until your drug costs have reached $7062.50. Catastrophic Coverage. Once you get out of the donut hole, in this phase you will pay 5% or $2.95 for generic medication and $7.40 for named brand medication for the balance of the year. At the beginning of the following year, everything resets back to the Initial coverage limit. When selecting the right drug plan, a terrific resource to use is the website www.Medicare.gov. Once you get to this site you will put in your zip code and have to answer a couple of very basic questions. You will then be prompted to fill in your prescriptions. Once you have typed in your prescriptions, you can select the dosage and frequency of each medication. Please do this carefully and take your time. You don’t want to miss any. At this time, I recommend that you write down your “drug list “ID number for future reference. After you have put in all your medication, you can select your pharmacy of choice. I would recommend putting in one you don’t go. Maybe a competitor. I say this because, sometimes where you purchase your medication will dictate how much or how little you will pay. Make sure you identify “mail order” costs, as well. After you have put in all your medications and selected your pharmacies (you can select up to 2), the next step is to select “Refine your plan results” Check the box for “Prescription Drug Plans” and continue plan results. The plans will automatically be sorted by price at “retail pharmacies”. You can also sort the list by “mail-order” costs. The list will run from least expensive to most expensive for mail order and retail costs. The list will give you the top 10, based on cost, but you can expand the list to all the plans in your area.